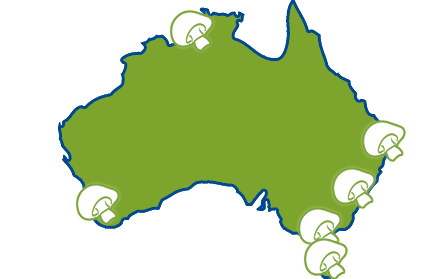 The white button mushroom is the most widely grown mushroom in Australia. The caps of the mushrooms in the button stage are usually 25mm – 75 mm in diameter, but if left to mature and open the caps can reach a size of 100mm – 175mm in diameter. This mushroom variety can be prepared in many different ways, which makes it very popular. 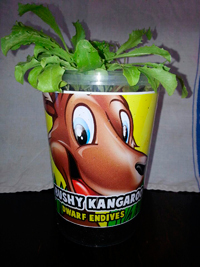 Our kits grow mushrooms with ease and are very productive. 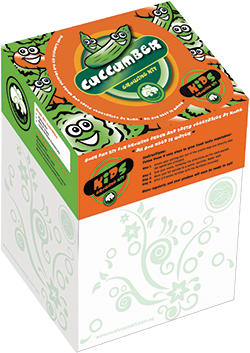 Crops grow back every 10-14 days until the mushroom kit uses up all its nutrients. 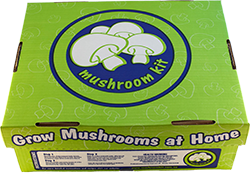 Approximately 1.5kg of mushrooms grow in our kit during the 3 months period of time. Portobello also known as Portabella or Portobello are a larger ‘flat’ version of the Swiss Brown. 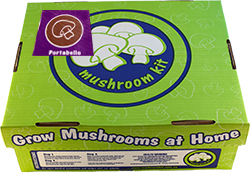 The Portabello mushroom is one of the tastiest mushrooms available. It is a wonderful mushroom to grill or roast. The caps can grow to as small as 25mm – 75 mm, to the average size of 100mm – 175mm. 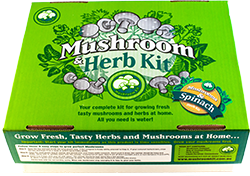 Our mushroom kit grows several crops of this delicious mushroom. The first crops are the largest, with the third and subsequent crops being smaller. Great on the BBQ or as part of a meatless burger. 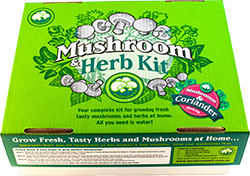 The kit contains both the White Button mushroom and the Portabello mushroom growing compost. 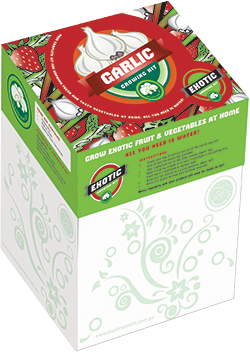 The two varieties produce a natural barrier between the two, which prevents either variety from corssing over to the other side. There is often a few days difference in fruiting time. 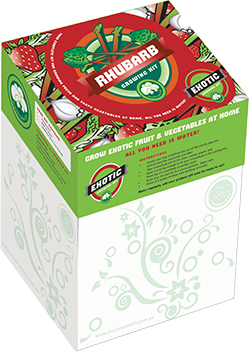 These kits are great, as it gives you a choice to mix and match in your cooking needs. 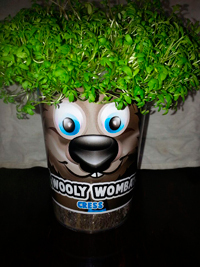 A fun and easy way for kids to grow healthy, edible produce, as they watch their favorite Australia animal grow hair. The oyster Mushroom is the most widely grown mushroom in China. The cap of the mushroom can be picked at sizes of 25mm to 75mm. This mushroom variety can be prepared in many different ways. 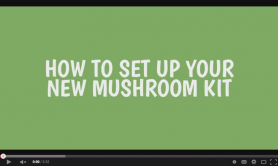 Our kits grow mushrooms with ease and are very productive. Crops grow back every 10 – 14 days until the mushroom kit uses up all its nutrients. Our new mushroom & herb kits include everything you need to grow white button mushrooms at home. They also include some herb seeds so you can make the most of the left over mushroom comport - a compost that is rich in nutrients and ideal for growing herbs! 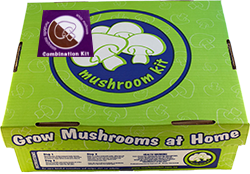 Once your mushroom compost is spent, simply empty the contents of the plastic bag directly into the waxed box. Then sow your herb seeds, water and give them plenty of sun. 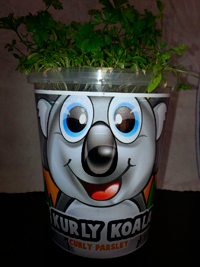 An easy self growing kit for kids. 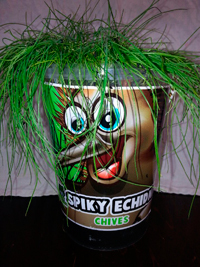 Simply empty potting mix provided into wax box, sow seeds into potting mix, water and put in a sunny position. 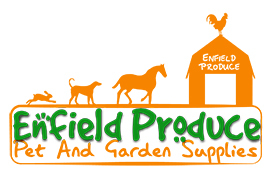 Fertilise with liquid fertiliser after seeds have started to grow. 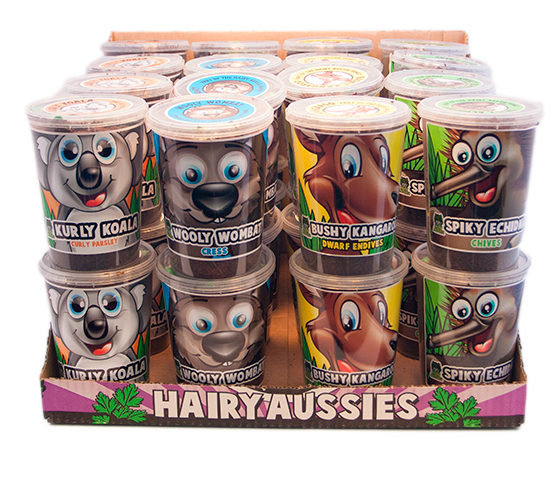 An easy self growing kit simply empty potting mix provided into the wax box, plant runners, crown or bulb near to the surface of potting mix. Water and put into a sunny position. 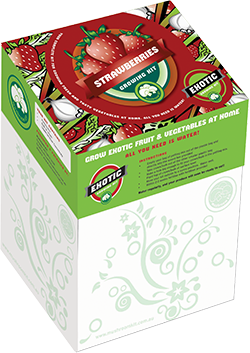 After runners, crown or bulb have started to grow fertilise with liquid fertiliser provided.